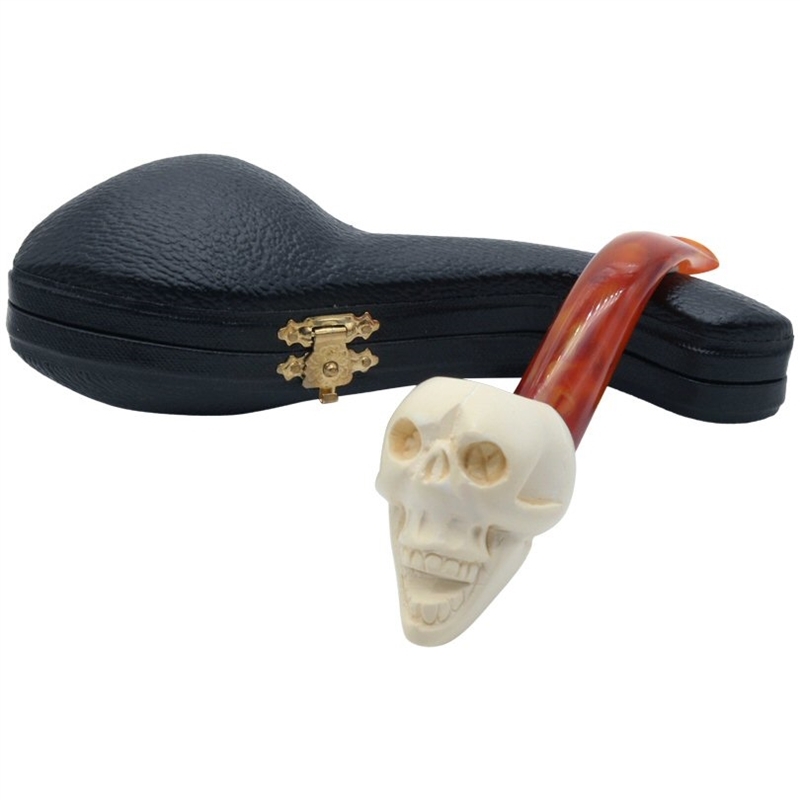 Hand Carved Laughing Skull Meerschaum Pipe - Is the joke on us? 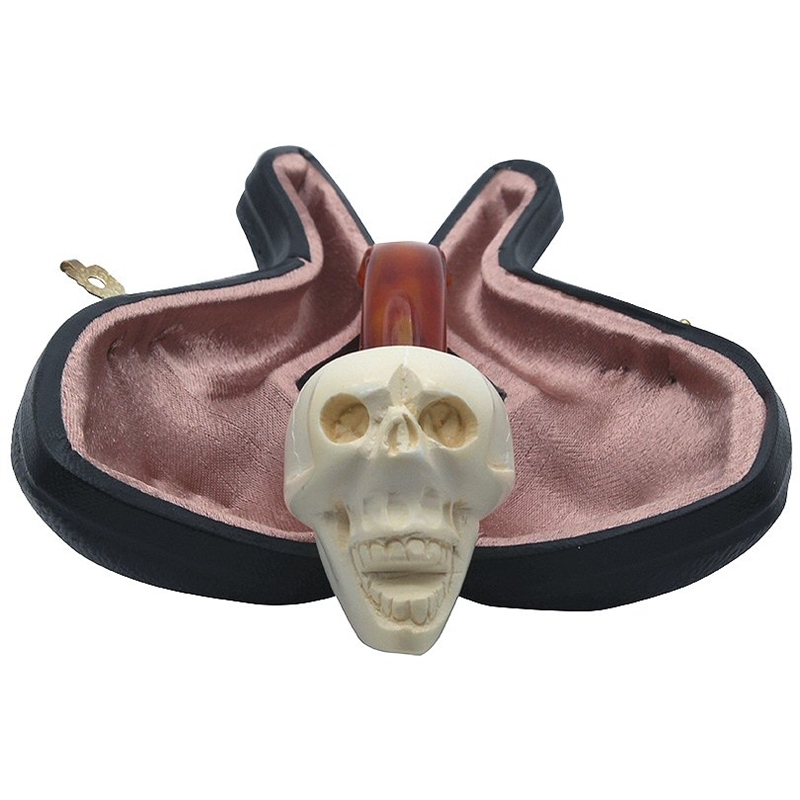 Looking at this hilariously laughing skull face it appears so! 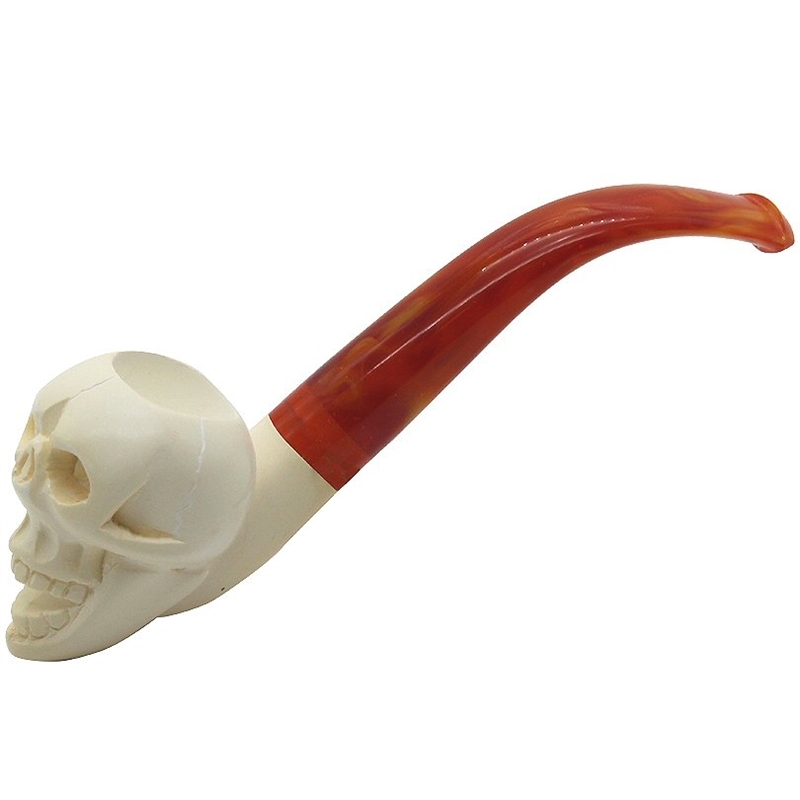 This pipe has a nice amber colored bent stem.